I’m a big fan of guys who can cook. There’s nothing sexier than a man who can make a killer dinner (or breakfast or lunch for that matter). The Lusty Vegan cookbook is for couples whether one part of the couple is vegan or omnivore. If you know anything about vegans: We freaking love to talk about food and eat really good food. Cook us a dynamite meal, and we will love you forever. I’ve had the joy of being part of chef Ayinde Howell’s dinners. One time in San Francisco when he hosted a pop-up night and another time at his apartment. Let me tell you, the man can cook. In San Francisco, he made this amazing version of smoked tofu that I STILL THINK ABOUT TODAY. And don’t even get me started on his legendary Mac n’ Yease. I will straight up push people out of the way for his family’s vegan take on mac ‘n cheese. So, that being said, The Lusty Vegan is all about great food. 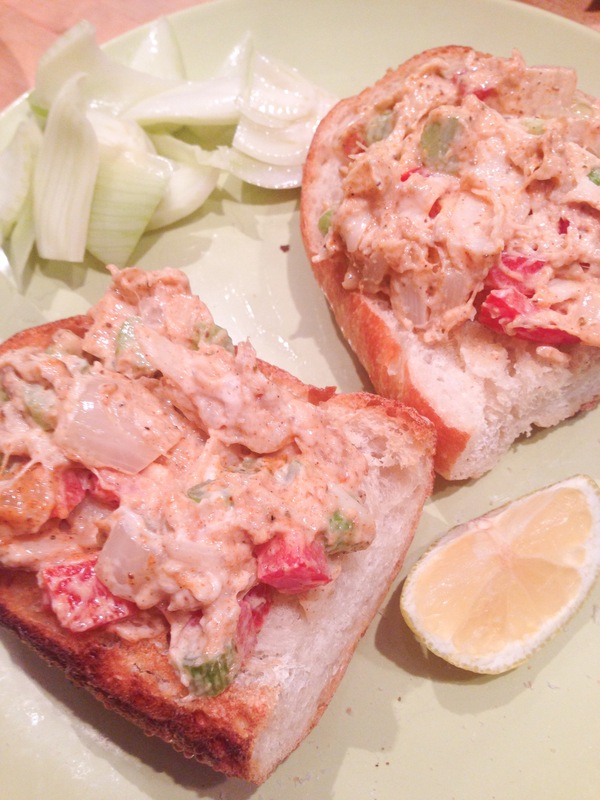 Brendan and I made the faux Lobster Roll and fennel salad from the cookbook. The “lobster” is made with hearts of palm, and it is so simple to make and delicious. It was a total hit in our house. Plus, cooking with your partner is the ultimate date night in my book. To win over your sweetheart this Valentine’s Day (or any day that you want to woo your husband/wife/significant other), definitely grab a copy of The Lusty Vegan and whip up something special. 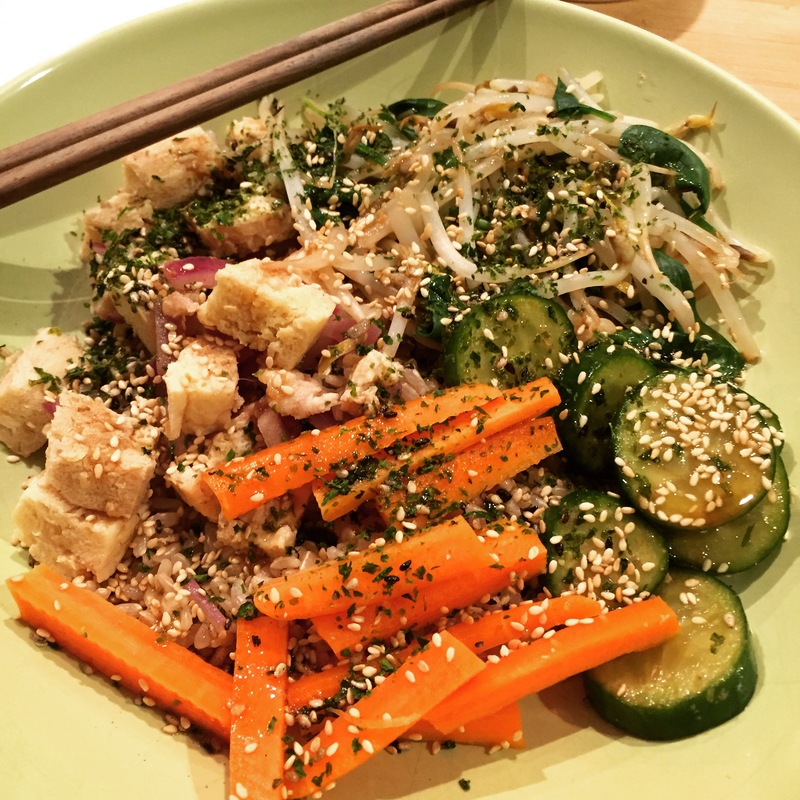 The vegan Bibimbap from The Lusty Vegan. Brendan made this for dinner for me, and it was great!